Two sleeps to Christmas and its a busy Sunday! We will be going to church in a little, followed by a visit to the butchers to pick up our birds! We are having mallards and pheasant this year and really must find out the best way to cook them! Off to the shops after that to pick up last minute things and wrapping paper and chocolate coins (father Christmas always leaves a trail of chocolate coins from Alexandros’ bedroom to where the presents are!). Have a good Sunday before Christmas everyone! 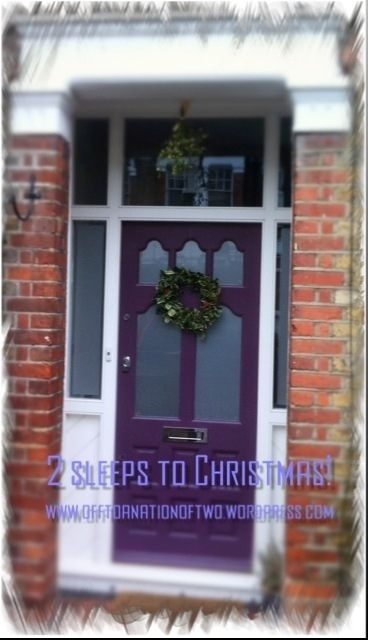 Previous Post 3 sleeps till Christmas!